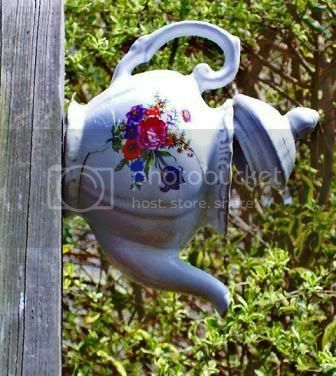 Everyone knows I'm a tea drinker and tea paraphernalia lover pure sang, that's why I instantly fell in love with this teapot birdhouse. It would fit so snugly with the teacup bird-feeders we made a couple of weeks ago! It looks like a great DIY, by mounting it to a wall it's out of reach of all kitties, reusing the lid as a roof keeps the rain out, and the spout is great for keeping it dry. We're surly going to try this out!